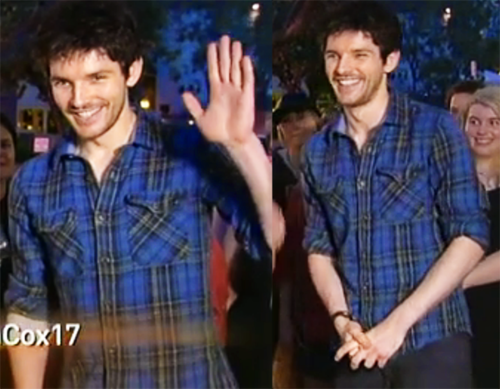 Colin in Brisbane. . Wallpaper and background images in the কলিন মর্গান club tagged: colin morgan colin actor. Yes, look at his hands, he was nervous! So sweet! Colin looks really delicious here. With the slight stubble on his face and wearing damn plaid again. Ugh..he's trying to kill me with his sexiness.